Part of a Public Art in Sao Tome series. The tree is still alive for now; somebody got creative to make it more interesting. 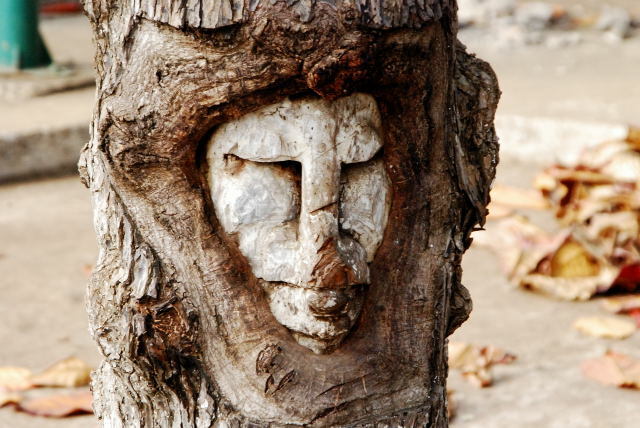 I have a similar photo of a face carved in a fallen tree. Interesting image and art work.